At Boska Holland we've been crazy about cheese for over 100 years! It all started near Gouda, home of the original Gouda cheeses, where Willem Bos made his first cheese tools for local cheese farmers. From that day it's our family tradition to inspire you on your journey through the delicious cheeses of the world. Explore cheese and enjoy it. 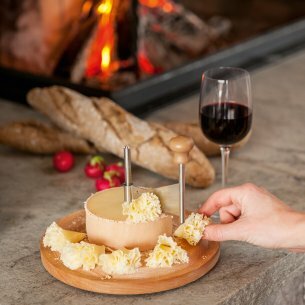 Boska represents beautiful, smart products for cheese. 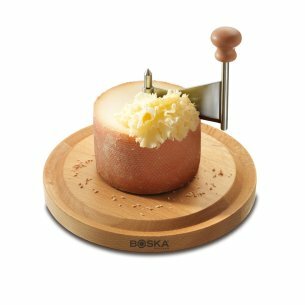 With the Boska cheese curler, you can turn home cooking into a fine culinary experience in no time. 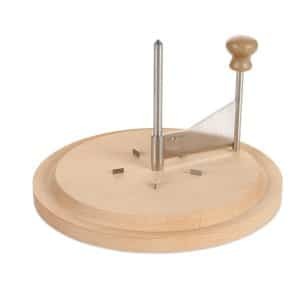 The cheese curler slices off a very thin curl allowing the delicate flavor of this cheese to develop surprisingly well. The curls release the best of its authentic taste. A treat as a snack or for dessert. Very tasty with some fresh ground pepper, a piece of crispy bread, walnuts, grapes and your favorite wine. 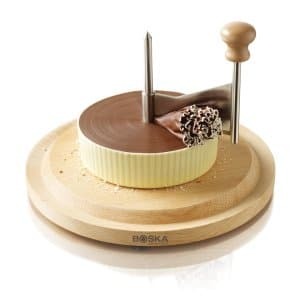 For a sweet desert, use the curler to slice off sensational chocolate curls.